"We cannot ignore the pollution," the Supreme Court bench said adding that it will hear the plea today itself after finishing the matters listed on its board. 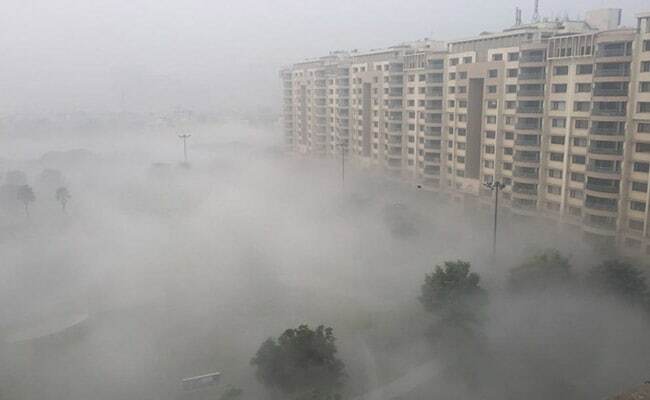 New Delhi: The Supreme Court has agreed to hear a fresh plea today, seeking ways to curb rising pollution in Delhi and the national capital region or NCR, which includes neighbouring Noida, Greater Noida, Gurgaon, Ghaziabad and Faridabad. A bench comprising Chief Justice Dipak Misra and Justices AM Khanwilkar and DY Chandrachud considered the submission of lawyer RK Kapoor that rise in dust particles on roads, stubble burning in Delhi's neighbouring states like Haryana and Punjab have led to an alarming rise in pollution levels in the National Capital region and its adjoining areas. "We cannot ignore the pollution," the bench said adding that it will hear the plea today itself after finishing the matters listed on its board. The fresh plea seeks direction to the Centre and the states concerned to take measures on curbing road dust and stubble burning. It also seeks an effective implementation of the odd-even car rationing scheme, which the Delhi government scrapped after the National Green Tribunal asked for the removal of exemptions to two-wheelers, women and VIPs.